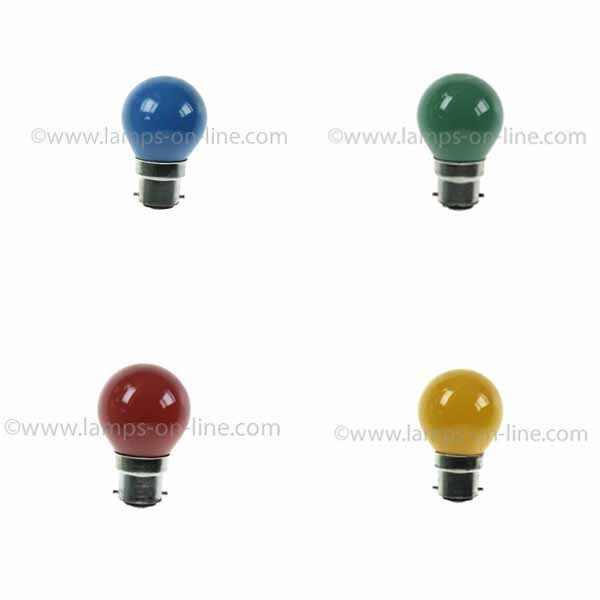 Our range of coloured golf ball bulbs include both incandescent and long life energy saving LEDs. 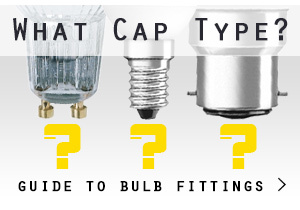 These are available in push and twist bayonet B22d caps as well as regular screw in E27 cap. 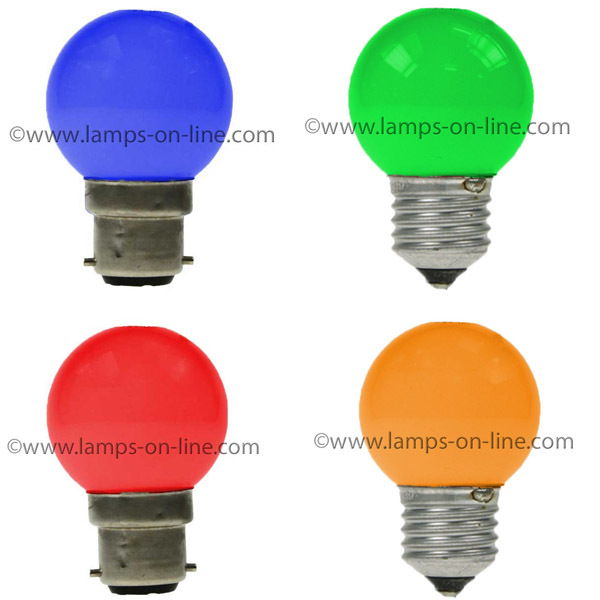 Coloured golf ball lightbulbs are ideal for lighting large christmas trees in towns, cities, and villages as well as for party lights. LED and incandescent coloured lightbulbs can also be used to create decorative effects in festive lighting. If you are looking for something a bit different try our colour changing LED lightbulbs. Available in both push and twist B22d cap and screw in E27 cap they create a great atmoshere to make your party go off with a bang! 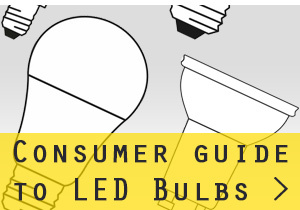 Simply take out your regular bulb and plug in a colour changing LED lightbulb and your done no additional wiring or programming required.